The accelerating study of exoplanets – planets orbiting other stars outside of our solar system – is reigniting interest around the world in space science again. The possibility that there could be other planets with life on them is both mind-boggling and humbling. Since the birth of the field of exoplanet study, 755 planets have been found and confirmed – and the newest on the list is Kepler-78b, a small planet orbiting a star similar to our Sun found nearly 400 light-years from Earth. Although not habitable, what’s interesting about this recently discovered planet is the unexplainable data found by CfA (Harvard-Smithsonian Center for Astrophysics) researchers. 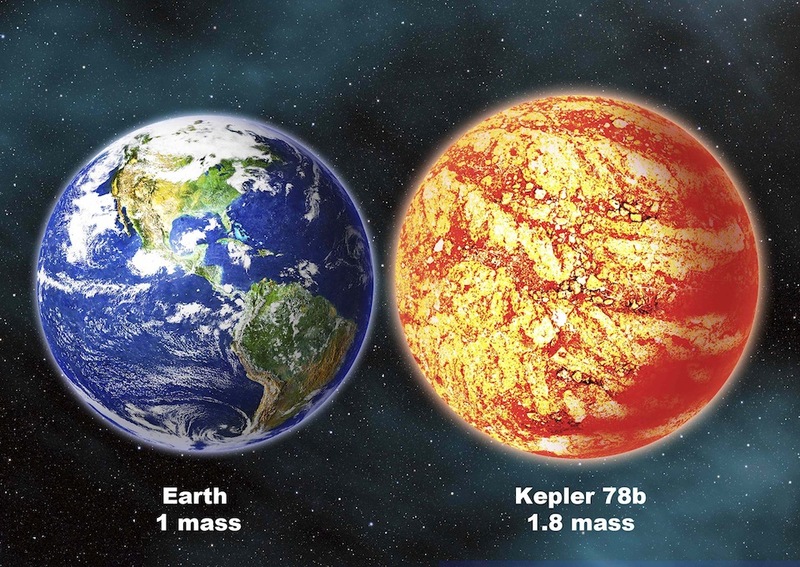 Using data collected from the Roque de los Muchachos Observatory, CfA scientists found Kepler-78b to be the first Earth-sized planet with the same density as Earth; this means that the planet is likely similarly composed of iron and rock. While this is ground-breaking in and of itself, a more unusual characteristic of the planet is its lightning fast orbital period; while it takes Earth 365 days to go around our sun, Kepler-78b zooms around its star in only 8.5 hours. This is caused by its unusually close proximity, being less than a million miles from its star (for a reference, even Mercury at its closest approach is still 28 million miles from our Sun). But what’s baffling is how a planet could have survived that close in the first place. When the parent star was young and forming its planetary system, it was much larger – consuming where the current planet lies. This means the planet would had to have formed inside the star – which seems impossible as the extreme temperature would have incinerated anything that close. The planet also couldn’t have migrated inward either, because according to current theories, it would have spiraled into the star long ago. The bizarre findings have been confirmed by multiple sources including an independent research group using data from the Keck Telescope. As scientists dig further into these confounding results, Kepler 78-b may significantly alter the theory of planet formation to account for this new class of mysterious planets.